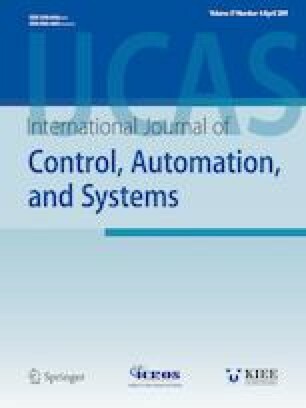 This paper is concerned with the guaranteed cost control for a class of networked control systems (NCSs) with denial-of-service (DoS) attack and time-varying communication delay. First, an uncertain switched system model is proposed that is capable of capturing the DoS attack and the short time-varying delay simultaneously. To achieve the exponential stability with a guaranteed cost performance level, a sufficient condition is derived in terms of matrix inequalities. In our work, the proposed design condition establishes several quantitative relations between system performance and attack parameters. Moreover, the critical value of strong attack frequency is also obtained. Finally, a practical example is given to show the effectiveness of our results. Recommended by Associate Editor Joonbum Bae under the direction of Editor PooGyeon Park. This work was supported in part by the National Natural Science Foundation of China (NSFC) under Grant 61673351, 61873237, 61573319 and by the Zhejiang Natural Science Foundation of China under Grant LZ15F030003. Yeping Shen received the B.S. degree from China Jiliang University, Hangzhou, China, in 2016, and is now pursuing an M.S. degree in Control Science and Engineering from the Zhejiang University of Technology, Hangzhou, China. His current research interests include the area of networked control systems and robust control. Hongjie Ni is now pursuing a Ph.D. degree in Control Science and Engineering from the Zhejiang University of Technology, Hangzhou, China. His current research interests include the area of networked control systems and robust control. Dan Zhang received the Ph.D. degree in Control Theory and Control Engineering from the Zhejiang University of Technology, Hangzhou, China, in 2013. He was a Research Fellow with the Department of Electrical and Electronic Engineering, Nanyang Technological University, Singapore, from 2013 to 2014, and the Department of Electronics and Communication Engineering, National University of Singapore, Singapore, from 2016 to 2017, respectively. He is currently a Research Fellow with the Department of Biomedical Engineering, City University of Hong Kong, Hong Kong. His current research interests include the area of networked control systems, robust control, and filtering. Li Yu received the B.S. degree in Control Theory from Nankai University, Tianjin, China, in 1982, and the M.S. and Ph.D. degrees from Zhejiang University, Hangzhou, China. He is currently a Professor with the College of Information Engineering, Zhejiang University of Technology, Hangzhou. He has authored or coauthored four books and over 200 journal or conference papers. His current research interests include robust control, time-delay systems, and networked control systems.